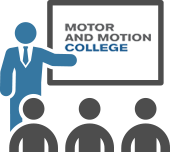 MCMA Motor & Motion College courses are offered for presentation at your USA-based company location. Topics cover a variety of aspects of electric motors and components ranging from fundamentals to advanced levels. 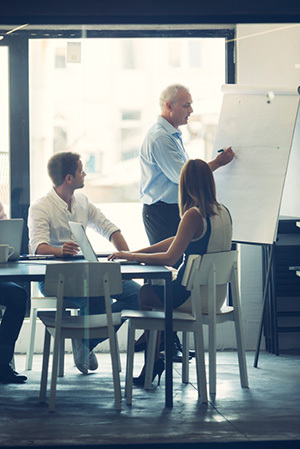 In-house training enhances the educational experience and effectiveness as MCMA staff works directly with you to customize course content based on the needs, knowledge and experience level of your audience. Your team can interact closely with our expert instructors to get specifically what they need to help your company. Train a group of your employees for less than it would cost to send them out for training and do so following your own optimum schedule. Pricing is based on the number of courses (days) desired and instructor travel expenses. Since 1993, the Motor & Motion College has been providing high quality training to the growing number of companies using electric motors and drives. Let Us Customize a Program for You! Choose the topics you want covered and the number of days of training you desire and MCMA can customize a program for you! Provide these basic details and we'll provide a proposal.